Sleek minimalist spaces are hugely popular these days, but they’re not always practical – the world still needs cozy and comfortable homes too! 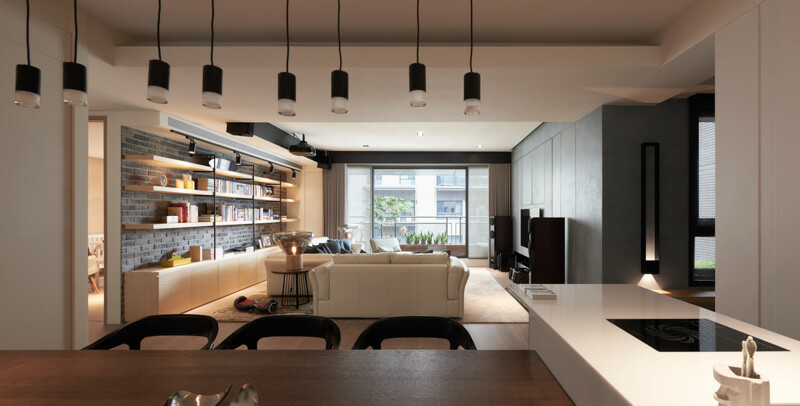 This interior by Taiwan-based Made Go Design combines the best of both worlds by embracing warm colors, soft textures, and useful details. The design still expresses the smart modernism we’ve all grown to adore while placing life and love at the forefront. 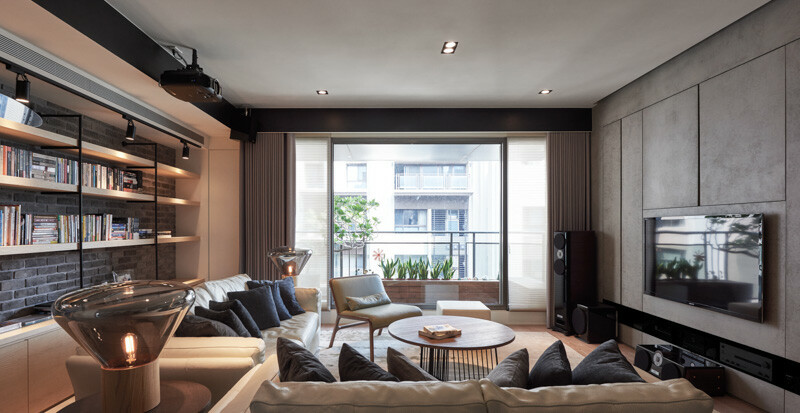 It’s a stylish yet welcoming space equally suited to family movie nights and weekend cocktail parties, big birthday celebrations and monthly book clubs. 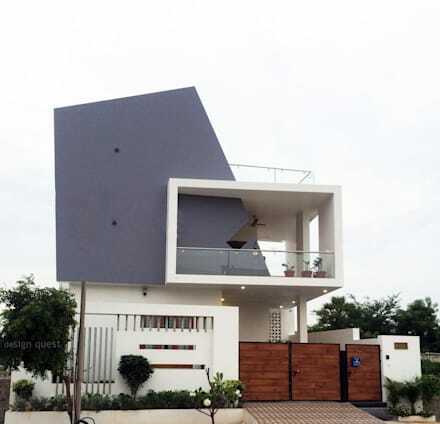 This beautiful home is a great source of practical design inspiration. 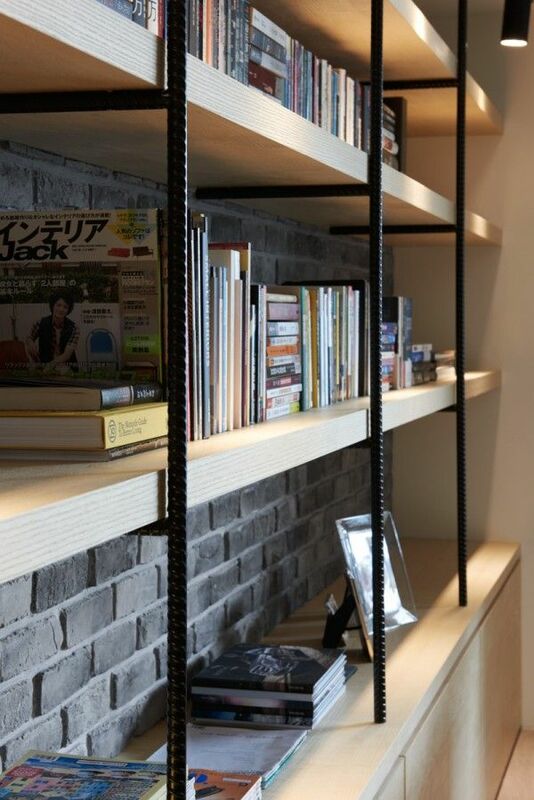 4 | Rebar and wood bookshelves over an exposed brick accent wall enhance the industrial accents present throughout the home. 5 | The little Lumio Book Lamp is a cool touch – easy to fold up and put away when the family needs more table space. It would make a good lamp for a child’s bedroom too, since it has no cords and runs on batteries. 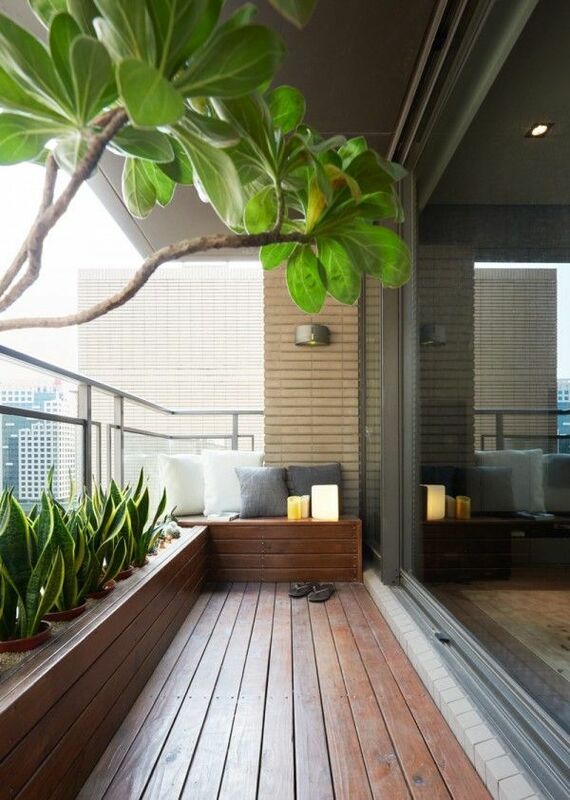 13 | Outside the living room, a beautiful covered terrace acts as a miniature backyard, complete with wooden decking and verdant plants. The built-in seating looks like a comfortable place to relax and watch as people go about their days on the streets below. If you are considering adding plants to bring in more greenery to your home, do check out our post: 50 Unique Pots & Planters. 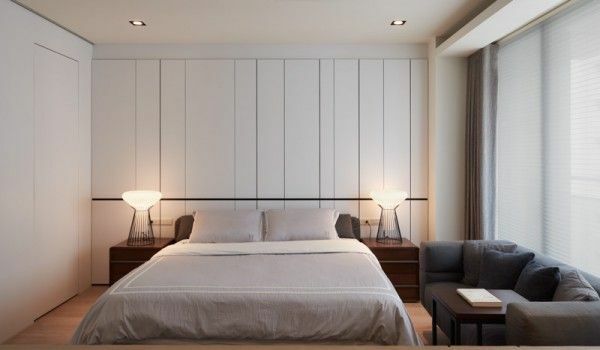 14 | A smart mid-height divider separates the office from the rest of the master bedroom. The matte black accent wall contributes a comfortable backdrop sure to absorb the light in the early weekend hours when busy parents want to sleep in. 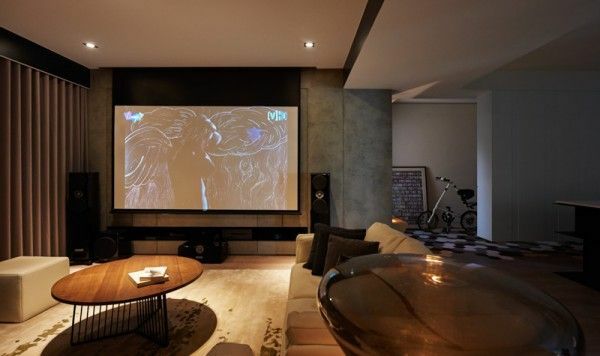 7 | This family totally rocks movie night with a top-of-the-line projector and a large screen that retracts into a recessed niche in the ceiling above. Edison lightbulbs in the Muffins lamps provide a soft glow perfect for nighttime entertainment. 21 | Unique architectural details make this home even more fascinating. Here, geometric tile in the entryway seeps under the suspended partition wall and into the kitchen on the opposite side. 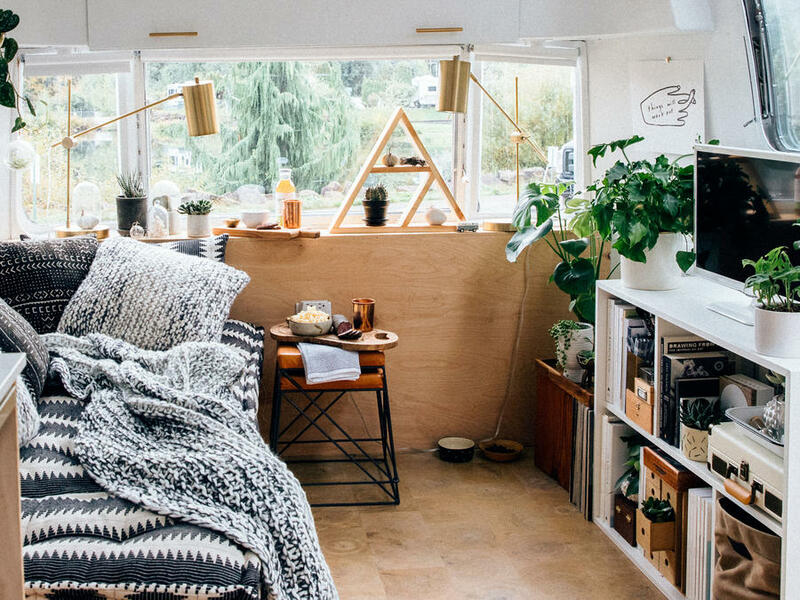 12 | An absolutely adorable room for a little girl. 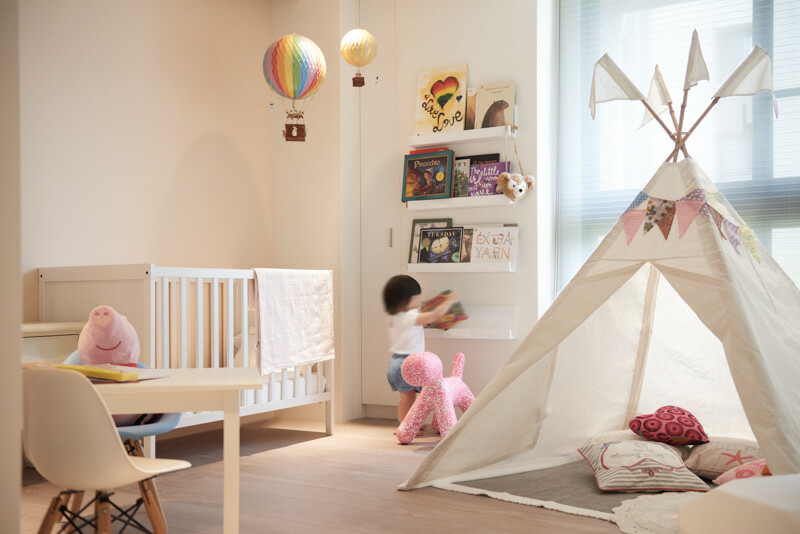 It has everything – colorful hot air balloons, a tipi for reading or napping, and a stylish Magis Puppy that doubles as a fun little chair. 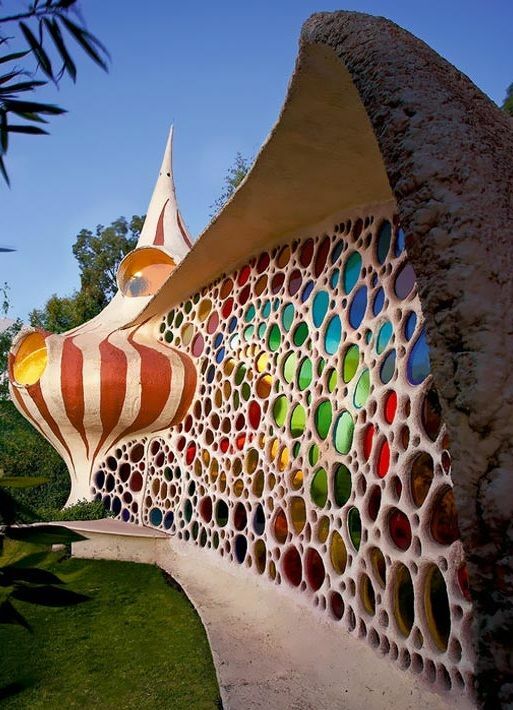 A room this whimsical is sure to spark the imagination. 20 | Wireflow lamps by Arik Levy create a stunning silhouette against the blank wall in the background. 1 | Designer: Made go designPhotographer: Hey! CheeseTailored to the needs of a delightful young couple, Made Go Design made sure to provide this interior with a wealth of comfortable details. The family room features warm and lively colors, luxurious yet practical materials, and designer furniture perfectly coordinated with the built-in elements. 9 | Two kitchens! 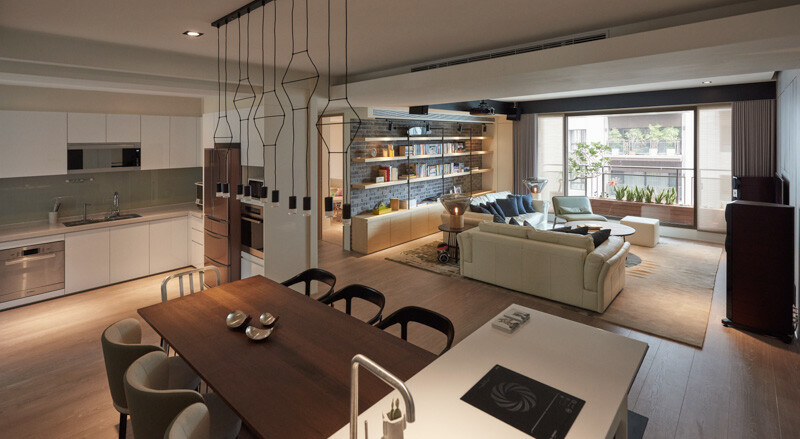 Another feature that makes this apartment perfectly suitable for a small family. The island near the dining table houses one range burner so food can stay warm in preparation of hungry bellies coming back for seconds. The marvelous digital imagery below, is section of A Stylish Family Apartment From Made Go Design document which is grouped within Home Design Interior 2018, a,family,design. 3 | Although the layout is relatively compact, smart living space arrangement leaves plenty of room between furniture. Spacious footpaths are a crucial feature for homes with children that are just learning to walk, and especially as those children grow older and start to run through the house. Nobody wants a stubbed toe!